This makes Miller Lite taste bad. 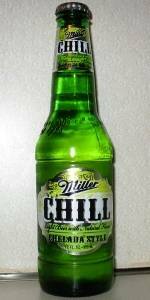 If you want a Miller Chill, add some lime to a Miller Lite. It is ten times better than the taste of this beer.